This is not to discourage the business of that town, but it might send them a signal to sell quality items. People travel for days to visit that place and expect to buy quality items too. Here is a list of some items you must never purchase in Naran. The honey they sell is not that honey you have been using before. Upon your visit to Naran, and specially at Saif ul Malook lake, you will find many Honey Sellers catching you to sell you Honey. Almost all of them are selling a liquid produced by mixing huge amount of sugar liquid with other ingredients including a minimal amount of honey produced in their own low-quality farm where they feed sugar to honey bees. Why to purchase items that are easily available in your own city? All the clothing items you see there are imported from Lahore and Faisalabad that are easily available across the country. So better you do not increase your luggage by purchasing items on higher prices. The best items to purchase while you go on such trips are the items that are made in that area specifically, may be their handicrafts, but not common items that are easily available everywhere. Naran does not have much ATMs. Just one ATM in town that you may find out of cash most of times. 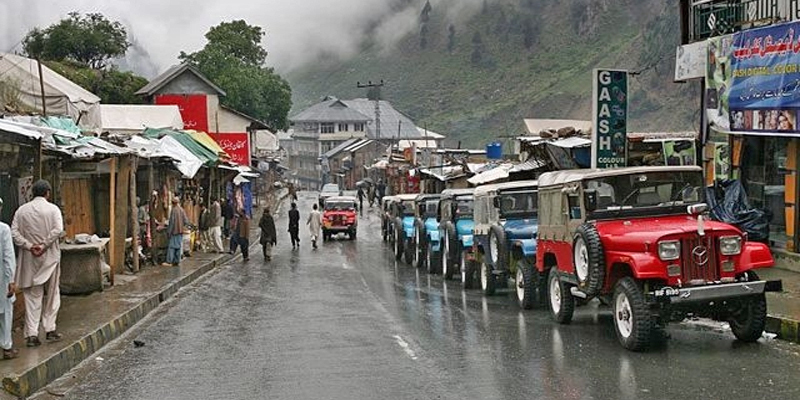 So it is suggested that you carry enough cash to spend during your visit to Naran. It is common sense. Do not eat much when you are anticipated to climb medium-sized mountains or when you need to walk within Naran or at Saif ul Malook. Better to have light meals a hour ago before you continue your next mission. Even in summer, do not forget to carry warm clothes in your trip. You might think how it can be cold in Naran when there are heat strokes across country, but you never know, weather in Kaghan Valley changes quickly and it is totally unpredictable when you reach Saif ul Malook. Not going to scare you here with a fairyland story, but 7pm in summer and 5pm in winter, is the time to leave Saif ul Malook lake. Many times, Rangers is deployed there for security reasons and they do not allow to stay there in dark. So better you leave before it gets dark.